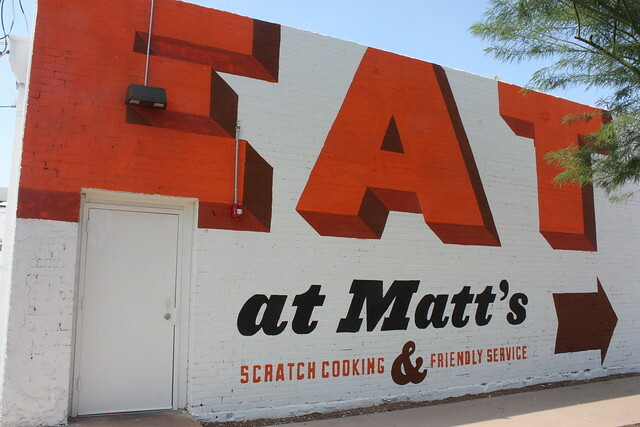 While living in Arizona I’ve made it my goal to experience what the local culinary scene has to offer My first breakfast stop was at Matt’s Big Breakfast in downtown Phoenix. Matt’s is a small breakfast/lunch joint that does the basics exceptionally well. They’re known for the quality ingredients and craftsmanship in their food. It’s a smaller menu but every item is special and extremely well-made. When I try new restaurants I tend to go for the classics. I guess I should branch out but a great barometer of the quality of a restaurant is how they do the classics. I chose to grab their breakfast sandwich which is affectionately referred to as The Five Spot. The sandwich was divine. It didn’t look too extraordinary but my first bite showed me that this was unlike any breakfast sandwich I’d ever eaten. 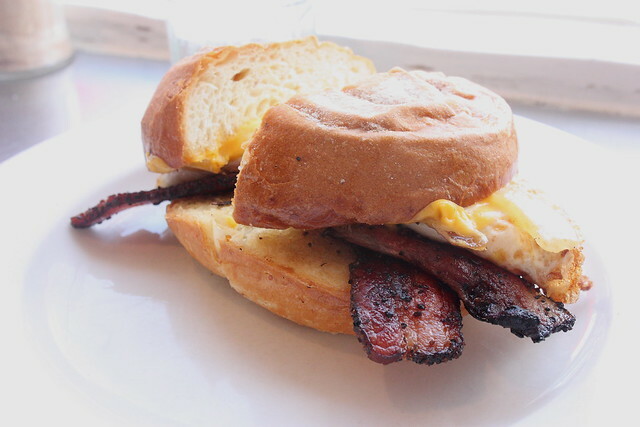 The bread was fresh, the bacon perfectly crisp and thick, and the cheese had melted into a gooey wonderful hug with the egg. 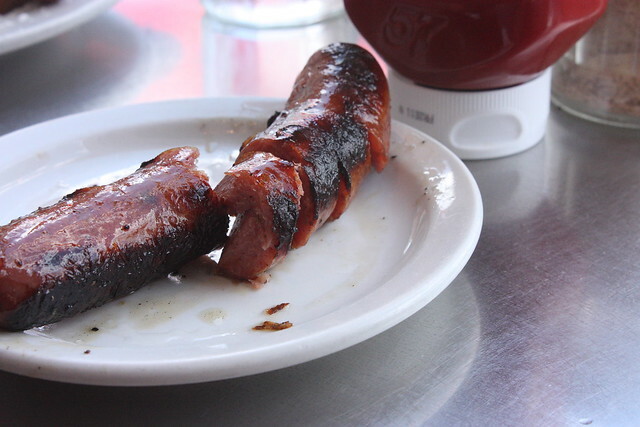 On the side of my sandwich, I ordered a cherry bourbon sausage–one of their daily specials–which was also ridiculously wonderful. 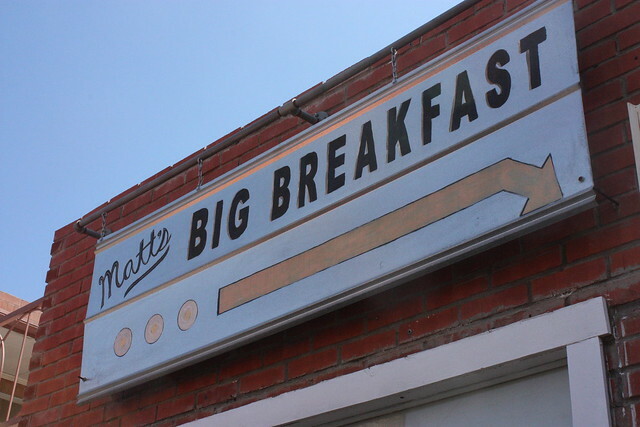 All in all I really enjoyed my experience at Matt’s Big Breakfast. -The restaurant is TINY so the wait is LONG. -You have to wait outside in the hot Arizona sun so wear sunscreen and be patient. The view is pretty so I didn’t mind too much but if you’re bringing kids or impatient people this might not be the right choice. -The decor is pretty cute inside. 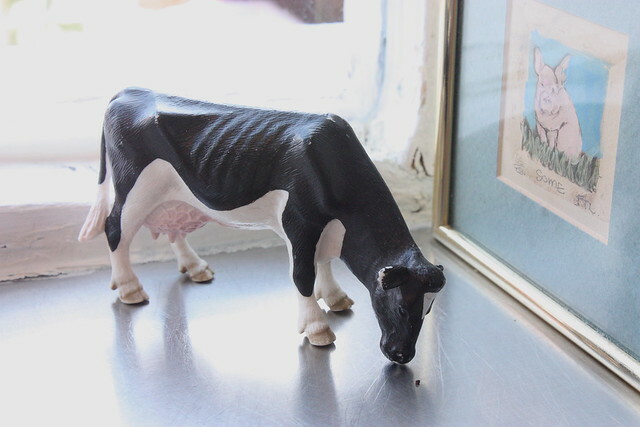 I ate my breakfast next to a tiny cow and that made me smile. I love a restaurant with minimal decor; it’s kitschy in the best way. You can find more information about Matt’s right here. I’m excited to start this feature and I can’t wait to bring you the next restaurant. If you have any suggestions of Arizona restaurants to try please leave them in the comments!